We offer fairly priced options! Along with our unique fare options, we make optional services available for you to personalize your travel. The following details the prices for optional services with us. Carry-On Bags: Carry-on bags can be no larger than 24” tall, 16” wide, and 10” deep (including handles, wheels, and straps) and no heavier than 35 pounds. They must be able to fit either underneath the seat or in the overhead bin. FRONTIER Miles Elite members always receive a free carry-on. Additionally, the purchase of one of our bundles, the WORKS℠ or the PERKS℠, includes a carry-on (and checked) bag. Note: If you arrive at the gate with a carry-on bag that exceeds the allowable dimensions you will have an additional charge to gate check the bag. Each passenger is allowed one personal item (no larger than 18" wide, 14" tall, and 8" deep) at no charge. Checked Bags: Standard checked bag pricing applies to bags that must be within 62 linear inches (that’s length + width + depth) and no heavier than 50 pounds. Baggage that exceeds these limits will have an additional charge of $75 for each bag that is overweight (between 50lbs and 100lbs weight) and $75 for each oversized bag (between 62 and 110 linear inches), and bags over 100 pounds or in excess of 110 linear inches will not be accepted. Checked bag fees are non-refundable. A stroller and car seat may be checked free of charge when traveling with a child. A diaper bag may be carried on free of charge when traveling with a child. Golf equipment, skis, and snowboards are subject to checked baggage fees and overweight fees (but not oversize fees). Other special items and sporting equipment, including archery equipment, bowling equipment, coolers, firearms, fishing equipment, hang gliding equipment, hockey equipment, lacrosse equipment, kayaks, musical instruments, paintball equipment, parachutes, scuba gear, surfboards and windsurfing equipment are subject to checked baggage fees, oversize fees and overweight fees. View a complete list of all special item baggage fees. Our bundles, The WORKS℠ & The PERKS℠, includes both a carry-on and checked bag for each passenger! One-way pet in cabin fee is $75. Unaccompanied minor fee for non-stop flights (one-way) is $110 per child per direction. The fee is waived for any unaccompanied minor who is a FRONTIER Miles Elite member. The fee is assessed once each way for each child in the reservation. Frontier does not accept unaccompanied minors for connecting travel. Beginning on November 1, 2018, bookings will no longer be accepted for children who are younger than 15 years old unless they are travelling on the same itinerary with another passenger who is at least 15 years old. No charge for one lap child per adult passenger (age 15 or older). For international flights, applicable taxes will be assessed. All reservations made through the call center will incur a $10 booking fee per passenger. This fee is waived for all FRONTIER Miles Elite members on any fare. Applies to any voluntary itinerary changes made through a Frontier reservations agent for tickets issued by travel agencies or online travel agencies. The fee does not apply to Same-Day Confirmed Flight Changes. Name changes can be made to Frontier tickets. If there is no change in travel itinerary, a name change fee of $75 applies per ticket. If there is a change in itinerary as well as name, then both the name change fee and itinerary change fee apply. For all name changes, any fare difference between the fare already paid and the fare selling for the same itinerary at the time the name change is processed will be charged in addition to any applicable name change fees. Change and cancels fees vary (See below). *Subject to any difference in fare and/or options prices. All exchanges have no residual value when exchanged for a purchase of lesser value. Note: All seating is based on availability. Charges for seating upgrades are charged per flight and connecting itineraries will incur fees for each flight where an upgrade is purchased. Passengers are able to purchase advanced seat assignments from Flyfrontier.com at the time you purchase your travel, after purchase in the manage my booking section, or during online check-in. Economy fare passengers who choose not to pay to select your own seat assignment, will be randomly assigned one free of charge during check-in within 24 hours of departure. However, your party may be separated. Lap infants may not sit in row 1- stretch seating of the aircraft. Please note that any fees paid for a seating upgrade are non-refundable and non-transferable. Standard seat assignment fees vary based on the Fare Option purchased and the point of purchase. If a seat assignment is not purchased a seat will be randomly be assigned to you at check-in and your party may be separated. 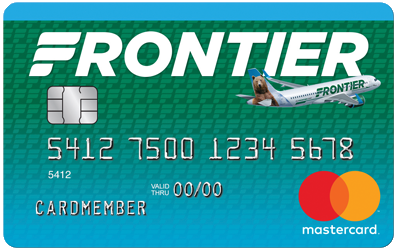 Fee is waived for FRONTIER Miles Elite members. A seat assignment is included with the purchase of one of our bundles, the WORKS℠ or the PERKS℠. Stretch seat assignment prices vary based the point of purchase. Upgrades are free for FRONTIER Miles Elite members if stretch seating is available at time of check-in.